Filming began July 25, 2015 and finished October 15, 2015. Early working title was "Happy Facebook." Jo Mar 03 2019 12:01 am Hahahah i love the cast❤️❤️❤️esp.yooahin..good drama it made my day..
vee Jan 22 2018 10:59 am oh my god LOL! choi ji-woo is seriously hilarious in this drama that part when her neck got stuck with the tambourine LOL! Teeya mustari Oct 09 2017 10:45 am Wow! Great cast! Very recommended! I cried a lot when scene So Hoo & Na Yeon! Ottokeeee I cannot move on and can’t believe this is movie 3 in 1 ???? @rendiishere Aug 17 2017 2:33 am main reason i watch the movie is because of the casts which mostly i knew from variety shows like ju hyeok (1n2d), ji woo (3mad, gof), haneul (fof), combined with the plot which even though it sounds cliche but looks interesting enough.. what i can conclude after seeing the movie, it somewhat balances out my expectation, top acting by all of the casts even the supporting ones like ui joo and his dad, and nice surprise of what it looked like 3 stand alone plots getting intertwined near the end of the movie and it flows nicely even with the "rolling my eyes" so-overused airport scenes in rom-com movies. 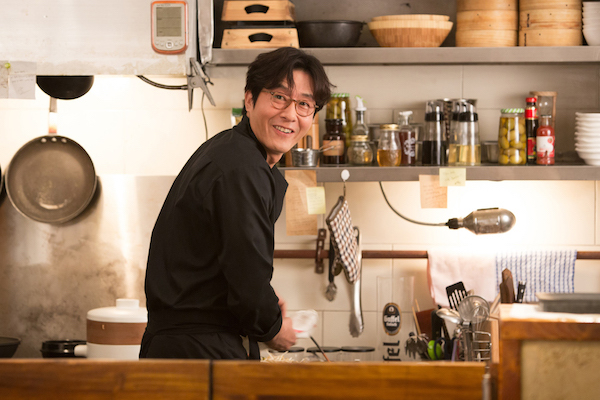 ji woo and ju hyeok combo is the best, their effortless acting produces some of the funniest (that karaoke tambourine scene lol) and best chemistry in the movie. those strong points unfortunately got watered down by, yet again predictable general plot and lack of crisis and not a single punch of a climax making me as the viewer difficult to get emotional watching the movie. Ozmo Apr 23 2017 6:57 am Great movie! Wonderful acting by all! Reminded me a bit of Love Actually. D. Y. Mar 12 2017 9:35 pm WOW ... had looked for this for a while, finally found it, better than imagined :) In my view, excellent writing, acting, filming, editing, timing .... and the film leaves me smiling, no matter what the day held .... I will definitely be telling all my friends about this treasure :) THANK YOU for making this film!!!!!!!!! Annie Mar 12 2017 12:23 am I loved every couple's storyline!! I cried while watching Yoo Ah In's couple! It was very touching! Also cried watching Kang HaNeul and Esom! 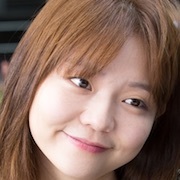 I really liked Esom's character,love her smile! !❤❤ definetely recommend!! hooangdh Jan 30 2017 10:37 am Actually the movie is appealing. Normally i don't like the movie that contain many couple's stories because of the confusion, but this movie is different. It's smooth, logical and specially clear for me. I could not take my eyes off the screen. Well, the casts are very cute and the acting is great. This movie is worth watching!!! Enjoy.^^. Almira Padillo Jan 06 2017 12:25 pm Great Cast. Typical Story. The story is so predictable that it doesn't even thrill me, it's a relief that its cast are great so I won't have to be frustrated to actors too. And I hate that Yooh Ah In has always been paired up to older ladies..He deserves a good actress on his age. Ping Dec 01 2016 3:56 am Feel good movie. Fun to watch.. and i will watch it again. And again. khadija Jun 08 2016 1:34 pm it's so ironic how in nearly most of his movies, Kang ha neul plays a character that's either quiet, depressed or just something miserable going on in his life. Like is it not enough that he already has depression in real life? lovexlover May 24 2016 1:31 am each story line really pulls you in, even if not at first. i was originally drawn to the movie by choi jiwoo and kang haneul's participation, truly both great actors, but enjoyed each actors' performance. the plot is not particularly unique, for any of the couples, but still enjoyable, and it's nice to watch a movie that allows you to feel goodwill towards all characters. (rather than the same old good protagonist vs. cruel antagonist.) i found the development of the esom/kang haneul couple to be most interesting since their hurdle is realistic and understandable, and not as fantastic as celebrity scenarios or mundane as 'do they like me back' scenarios. Carmelita Pelenio May 19 2016 10:49 pm I really love to see kim joo hyeok and choi ji woo together forever. I know kjh is a good man, understanding and respectable. sunggyudear May 11 2016 8:41 pm Yoo ah in said once in interview that he doesn't want to be in a typical romance story of 20s. hollywillow Apr 14 2016 1:28 am Yo Ah In and an ajumma. Always, all the time. WHY?!!! California Dream Mar 02 2016 9:33 pm I saw this in a movie theater in San Jose, California on March 1st, 2016. It was amazing, I mean totally daebak. The individual stories are really interesting. I loved it. Reene Feb 21 2016 12:35 pm This looks like such a fun movie and I love the entire cast. Can't wait to watch it. 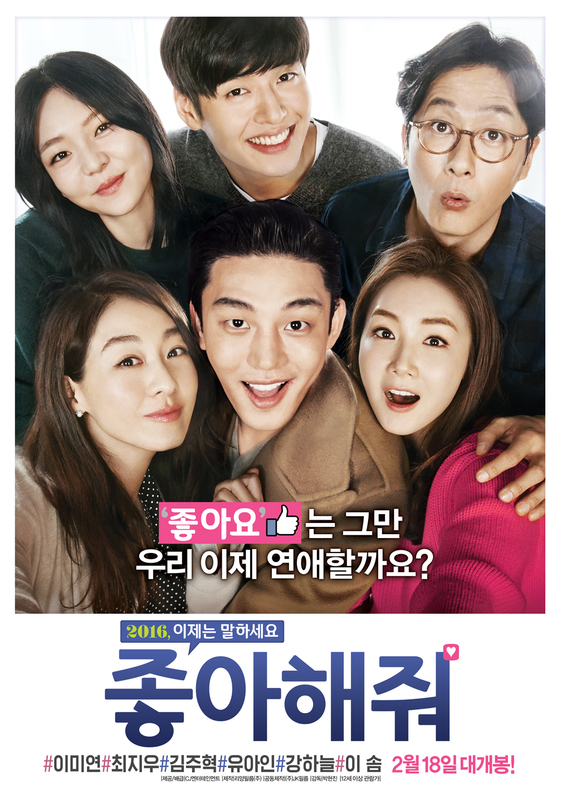 Vidu Feb 14 2016 12:31 am Lee Miyeon, Yoo Ain, Choi Jiwoo, Kim Juhyeok, Kang Haneul and Esom all together in a film. What a perfect star cast. 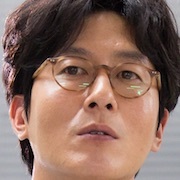 But they should pair Adult Deoksun and future husband Adult Taek, Lee Miyeon and Kim Juhyeok together. Anyways Like for Like film FIGHTING!!!! capricorne93 Jan 20 2016 5:34 pm Great cast for this movie. Can't wait to watch this ! redwatchestv @ wordpress Jan 09 2016 5:51 am cant wait to watch this one! 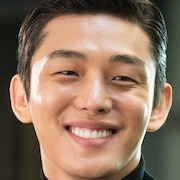 yoo ah in and kim joo hyuk and choi ji woo in one movie? sign me up!! the teaser is so lovely and i've watched the bts, it looked like they had great great time filming this movie. really can't wait! sara the beautiful Apr 22 2015 11:50 am I. CANT. WAIT. Pillow Mar 14 2015 6:00 pm HaNeul plays a couple with ShinHye and it's war between me and the whole nation of Korea. Danielle Mar 12 2015 8:47 pm Kim Ha-Neul and Kim Ji-Won instead? They have been in To The Beautiful You and The Heirs together. Nills Mar 09 2015 4:36 am waohhh!! I have to search the sites where I posted my insight regarding Park SHin Hye and Kang Ha-Neul, collaborating in one project,since I have watched them in Heirs,they have this scene when Eung Sang went to ask Kang Ha Neul to be hired is one of coordinator in their Shool News prgram, and when kang ha neul was giving all the files to Shin Hye,coz he wasgoing to the Military...wahhhh one of my wish...in my bukcet lis actor If ever they collaborate..hmmnnn well I just hope they are not lovers but best friends..LOLLLL....Im still in Love with Darling Couple of Pinocchio...but this is not bad for the team up of Park Shin Hye and Kang Ha Neul....good luck to bothe of you..kiddo! !